Sharp Bros and EMG International partner up to bring a new series of airsoft training rifles to market, featuring the Overthrow AR-15 lower receiver created by Sharp Bros. The full AEG training rifles use a CNC billet-style metal receiver set boasting an anodized finish. The lower receiver offers an integrated beveled flared magwell featuring an EMG and Sharp Bros engraved bullet pictogram selector markings. 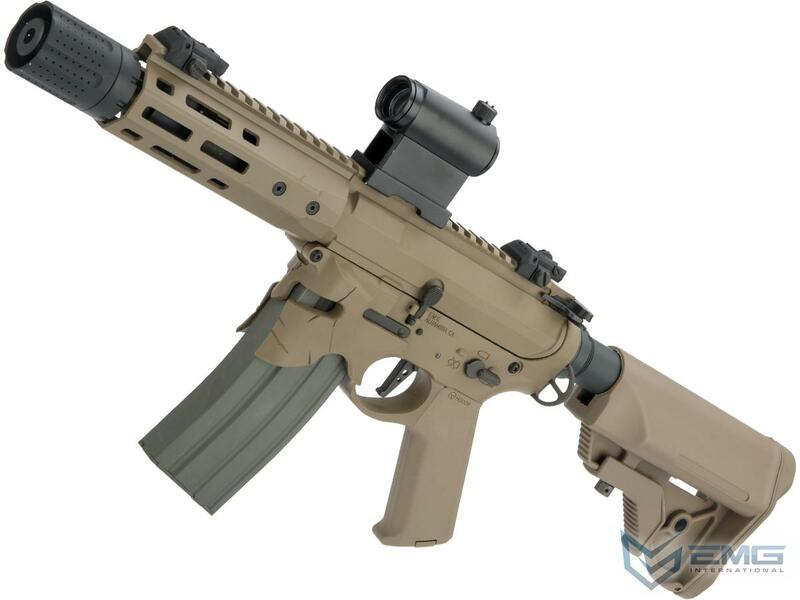 The rifles deliver an aluminum M-LOK freefloat handguard in addition to slim AR grip, holding the ARES high torque slim motor. The rifle series also brings together the ARES Electric Firing Control System which brings a programmable gearbox capable of safe/semi/3-round burst/full auto fire. The training rifles come in a few flavors to include: a 16-inch RECCE, 12-inch SBR and 8-inch PDW in either black or dark earth. 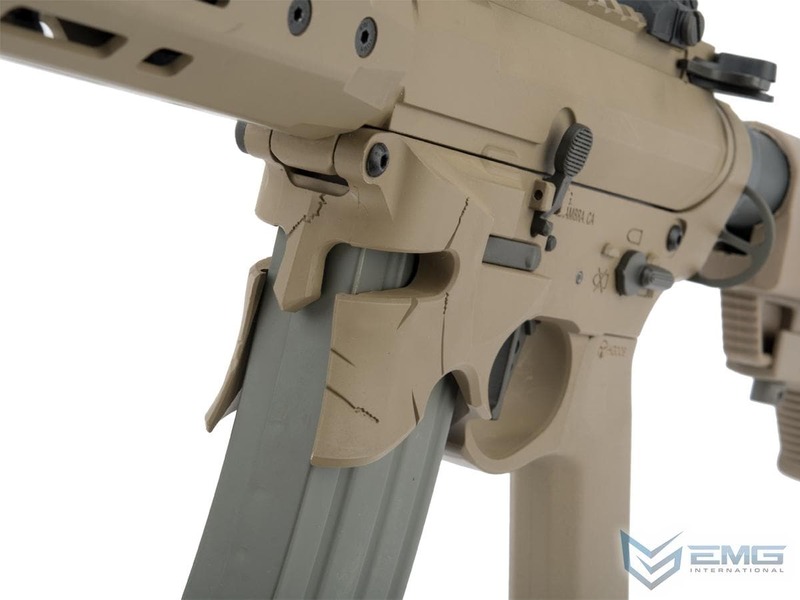 “An exclusive collaboration project between EMG and Sharps Bros. Firearm Design, the Overthrow airsoft receiver accurately depicts the fine detail and craftsmanship of the real AR15 firearms receiver,” EMG International said on their site. “The stunning and fierce details of the Overthrow features an open mag well helmet design, with battle worn dents, sword gashes and crack lines to really set this apart from your average rifle and brings a whole new meaning to personal weapons customization,” the company continued. The Sharp Bros and EMG International collaboration will be available later this month with a price tag of $299. The post Sharp Bros and EMG International team up for airsoft training rifle series appeared first on Guns.com.